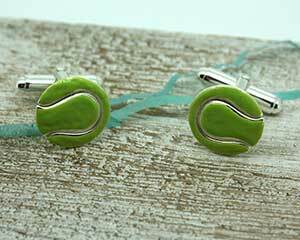 Sip Pimms on the lawn after the match, with these suave cufflinks gracing your cuffs. Conjure images of a classic summer time, every time you wear these little beauties. They will add a touch of colour to a crisp white shirt or stand proud with a more flamboyant style shirt.